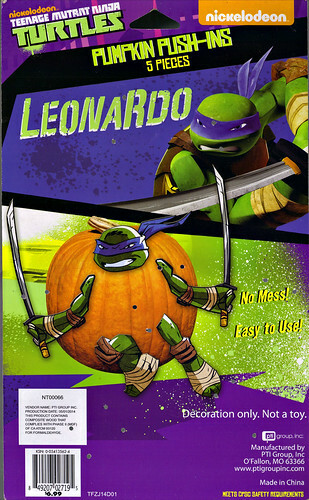 –>> Roughly postcard size, each Turtle collector card was available at the IDW boot, one each day with leftovers from the day prior being available with the new ones. 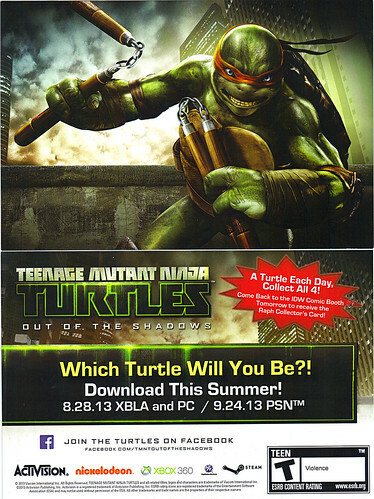 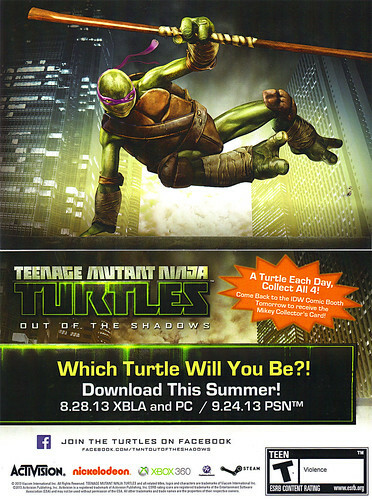 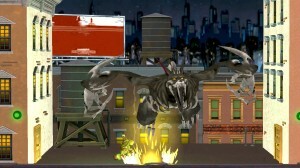 The new TMNT video games were lightly promoted; with TMNT:OOTS being mainly trumpeted by IDW themselves as this is a more mature title than the new game based directly on the show. 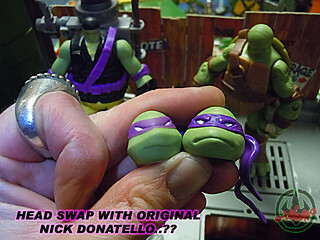 Those were more readily ( but again lightly ) promoted by Nickelodeon themselves at Nick’s booth and at the Nick Turtle animation panel. 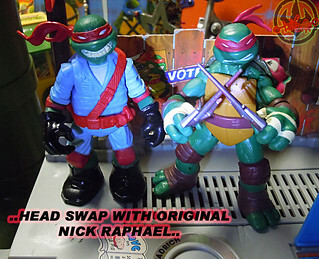 So far i’ve only been able to obtain Mike & Don’s cards. 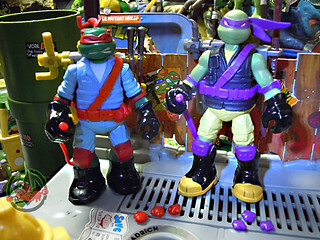 –>> Sure these guys would be lotsa fun in the monkey cage at the zoo or maybe really handy at the doggy park. 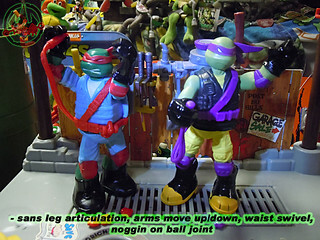 ..to BIG a ball joint & TO small A BALL JOINT ON DON !! 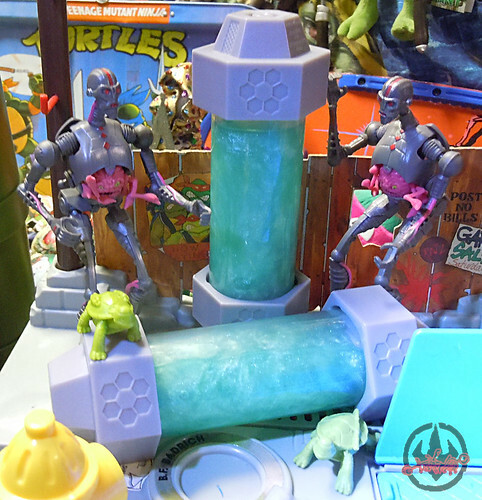 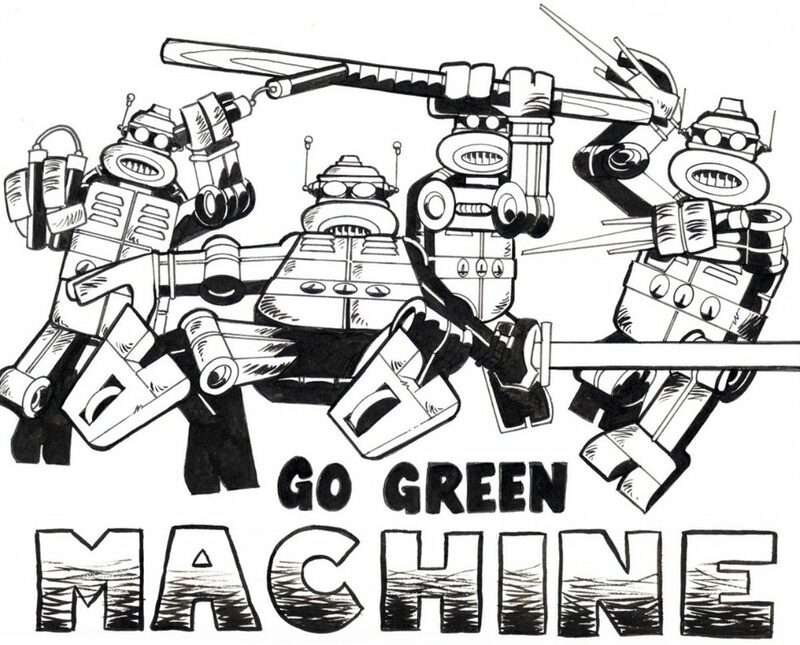 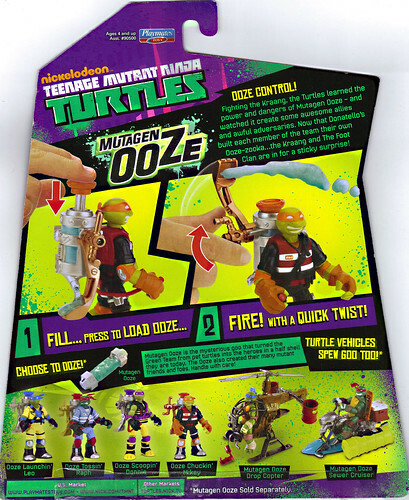 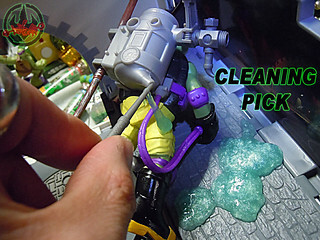 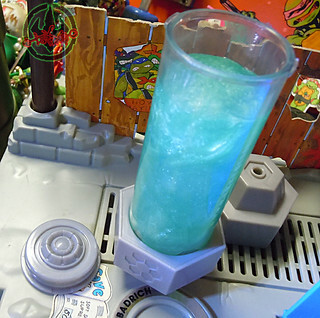 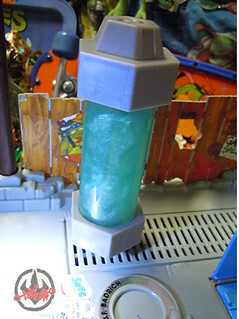 –>> .. the next generation of MUTAGEN looks really cool. 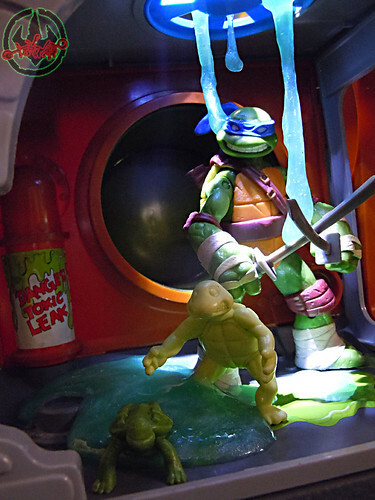 Shake and move the can around and the pearlecent effect looks eerie and neat !! 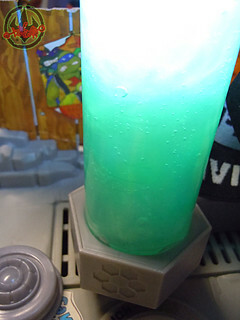 Almost radioactive !! 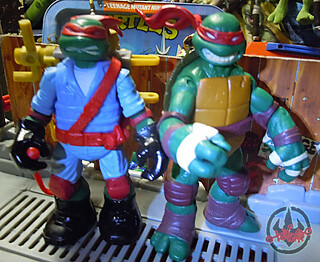 ALMOST LIKE TOOTHPASTE !! 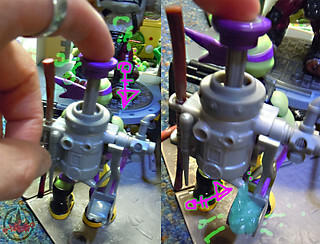 The ooze seems a little tiny bit thicker than the older versions ..but it’s a bit hard to tell. 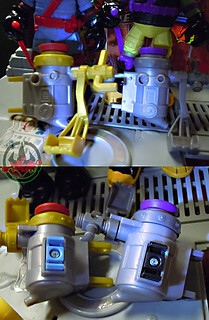 The colour and play value is just as good ..however the price has jumped to about 7.99 a can. 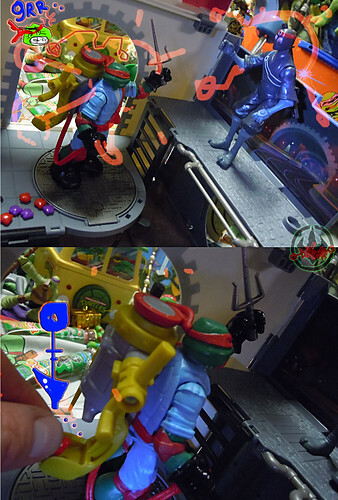 That may be understandable due to inflation. 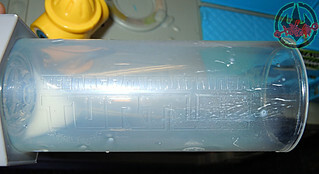 In the 1990s a 4 oz. 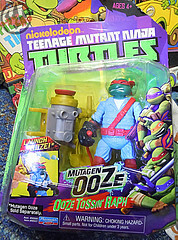 can of ooze i think was around 2 – 4 bucks. 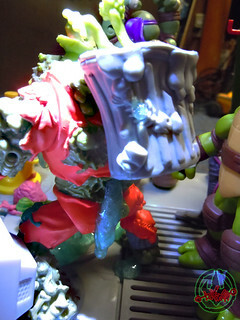 To Playmates’ defense ..you are getting a little bit more product than in the classic cans aside from the little bonus figure. 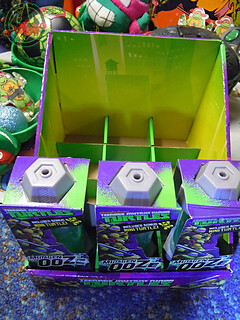 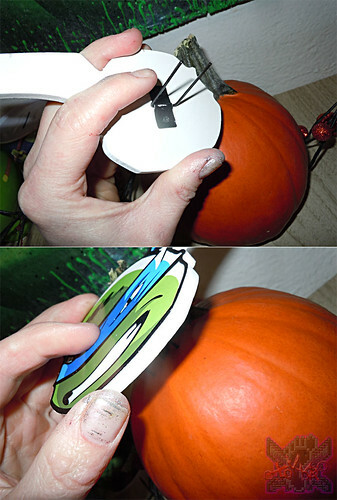 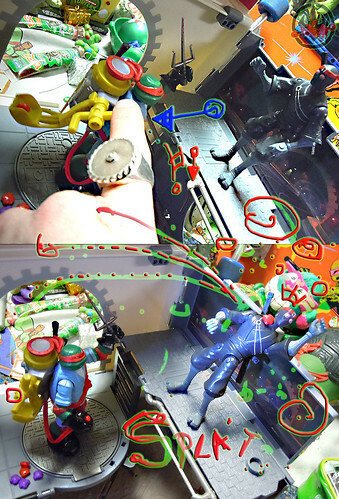 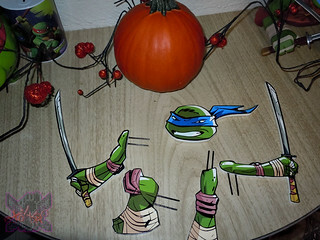 If maneuvered during shipping or if you shake the can around, the Bonus Turtle inside can be slowly shifted to the edge of the container & you can see which pre-TMNT you’re gona get. 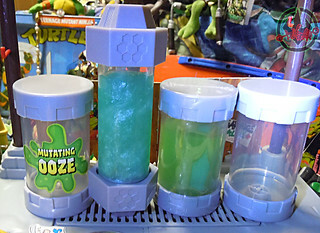 This is great if you are going for your favourite Turtle or if you are the collector that wants to get just one of each Turtle without having to buy multiple containers of the Ooze. 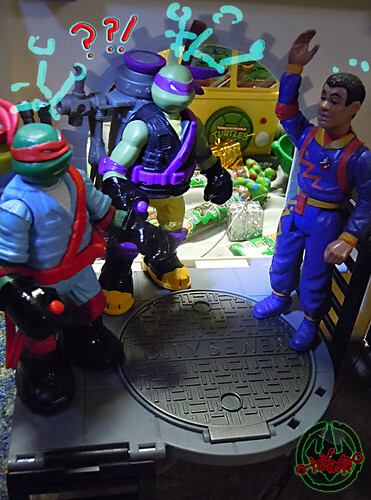 Good work,Playmates !! 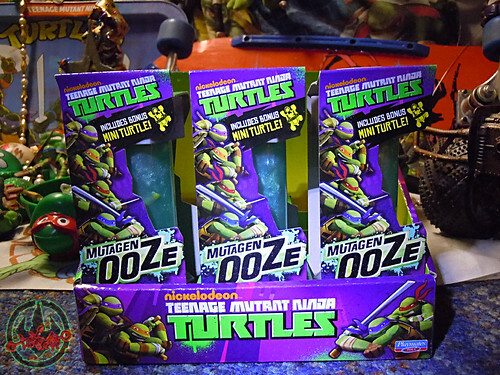 Each display has 12 cans per case, my first purchase was the last 5 of the display case they had from the toy store shelf. 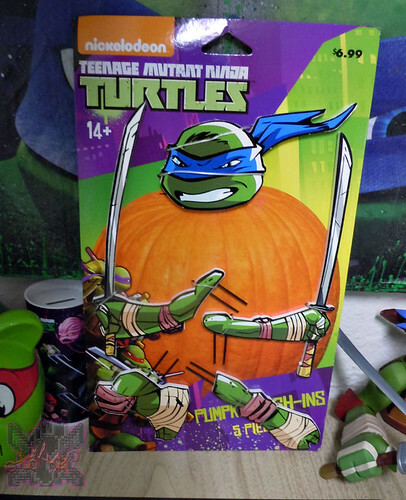 Only Leo, Don, and Mikey were available in the remaining cans i purchased. 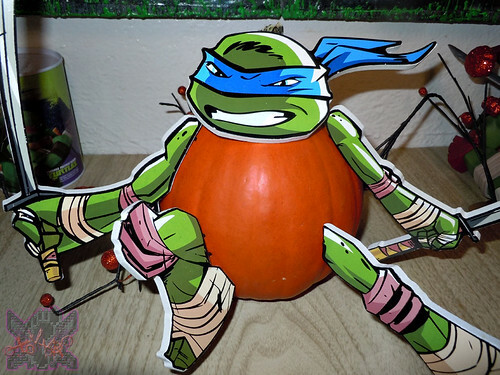 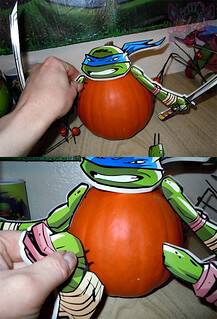 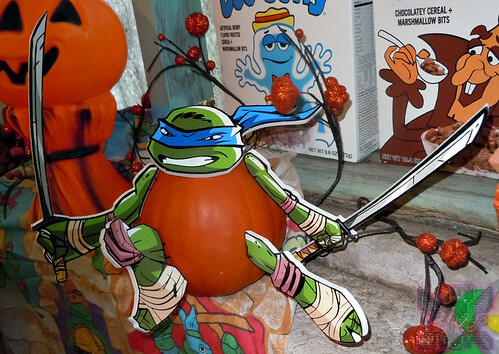 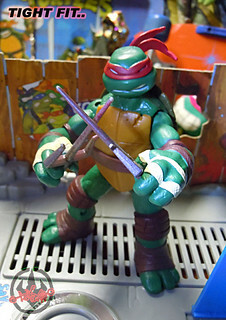 I’ll have to try to get Raph later. 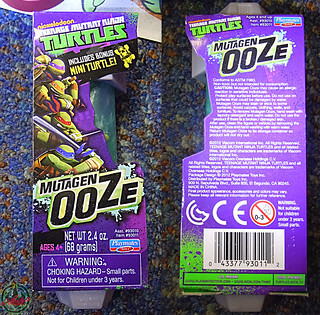 The 2000s INDIVIDUAL cans ( as far as i know ) were only available overseas so i cannot compare prices to the equivalent containers. 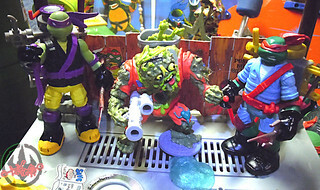 You could only get those cans at retail with the deluxe Mutations figures. 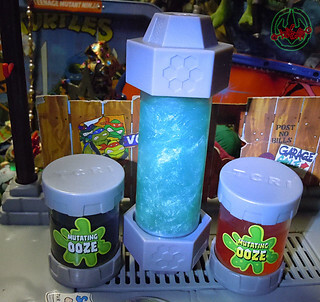 Trying to recall :: Ooze cans were available individually OUTSIDE of North America in the 2000s. 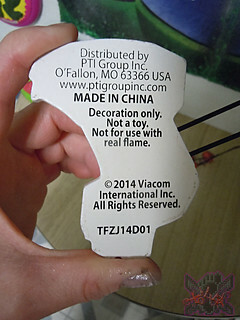 Unless i was missing something, the individual cans weren’t not available in the States. 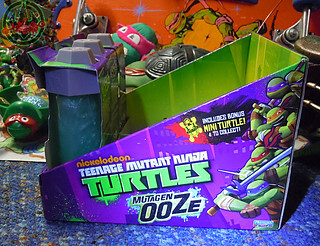 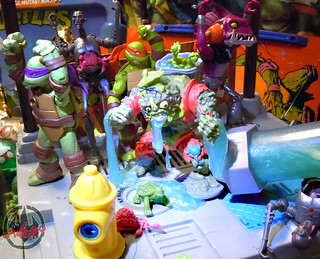 You had to buy the deluxe Mutations Turtle figures to get the Bonus Ooze. 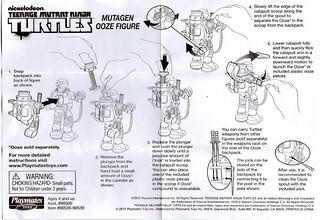 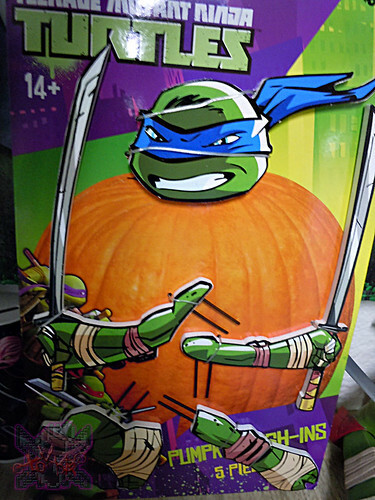 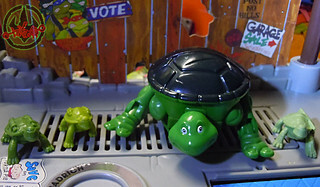 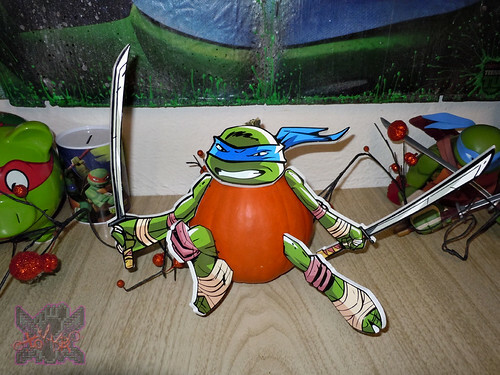 The individual cans overseas did come with an exclusive “bonus pre-mutant turtle”. 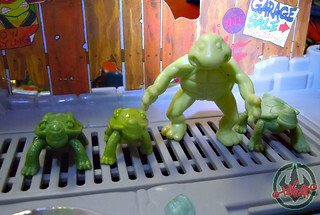 If i recall.. i think the little figures had moving parts. 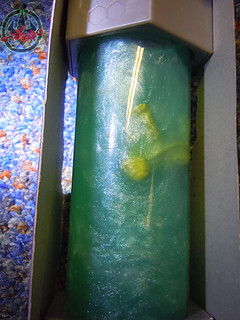 Not sure tho’. 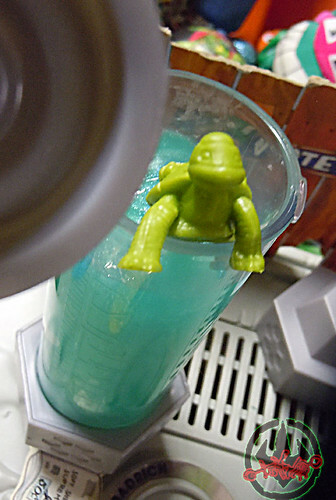 Cannot recall at this time. 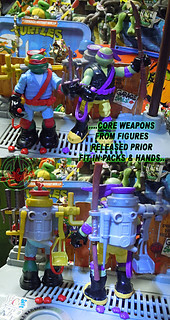 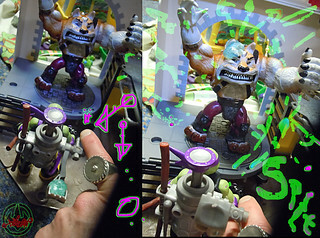 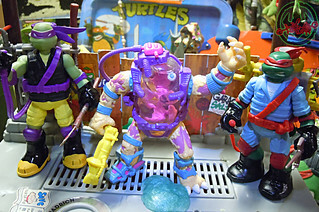 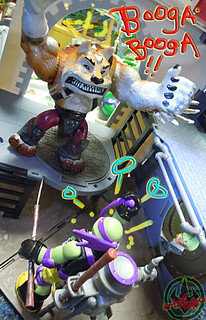 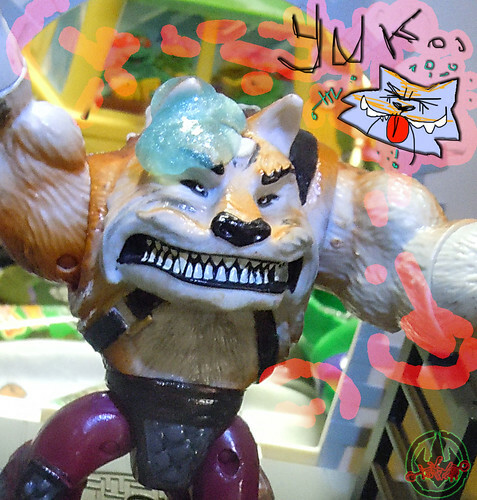 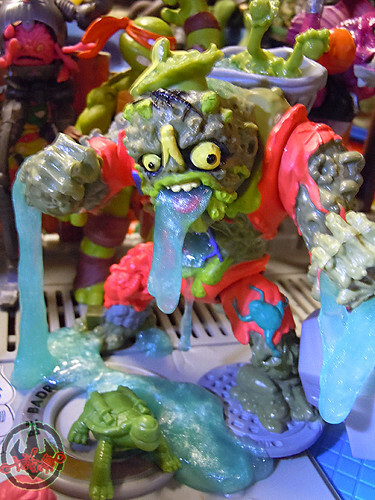 The third incarnation the TMNT Mutations toys came out during the 2007 movie era of toys. 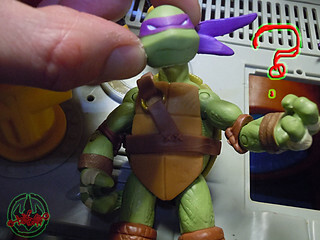 Similar concept as the classic Mutations but with improved sculpting and detailing of the “baby turtle” forms and improved articulation of the Mutated forms. 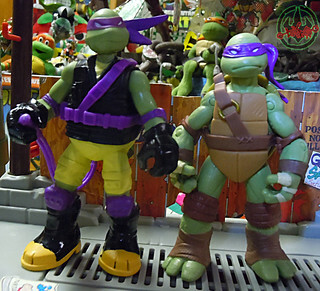 Still these toys were controversial with some fans. 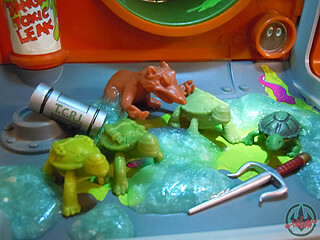 Never-the-less each of the teens came with a mini T.C.R.I. 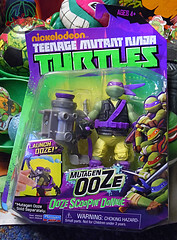 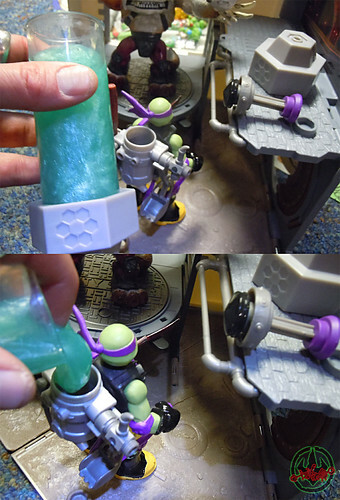 can of Ooze with a different colour to match each Turtle. 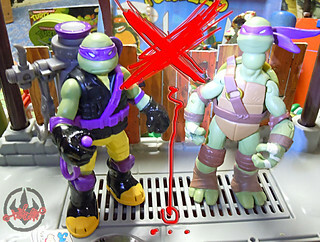 Purple ooze for Don, Reddish ooze for Raph.. ect. 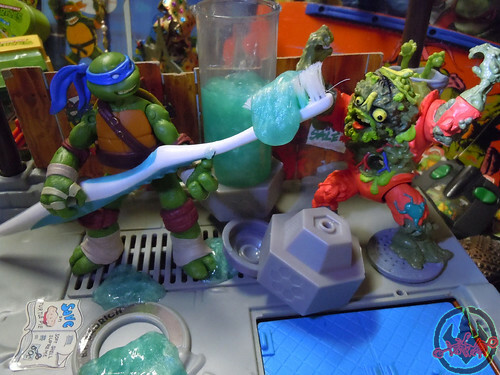 ..this stuff really does look like toothpaste.